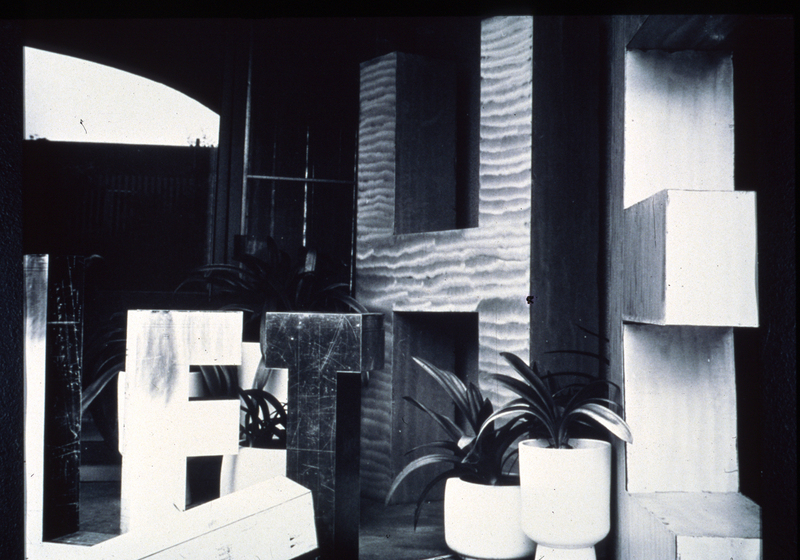 Aluminum Word Sculptures/HE/THE, early word sculptures, 1970. 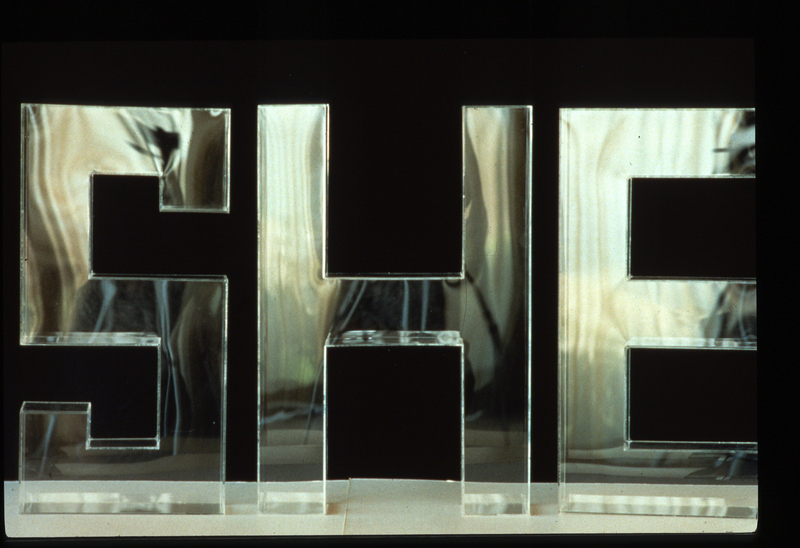 Acrylic Word Sculpture/SHE, early word sculptures, 1973. 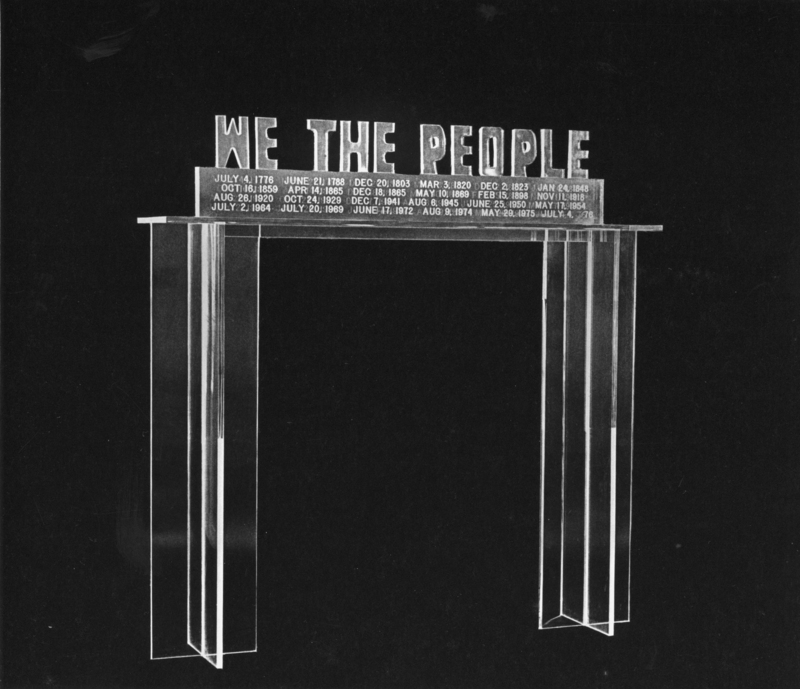 We The People, model for the We the People project, 1976. 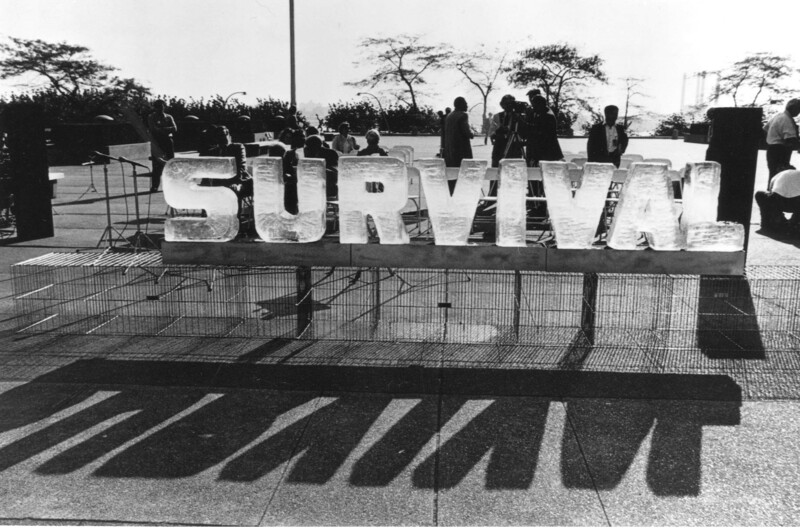 Survival Sculpture, Waters of the Nations/Messages from the World, ice sculpture for the UN Plaza, New York, NY, 1982. In my early works, words and language are both subject and image. Such “Language Images” are of continuing interest to me, as are visual symbols, and calligraphies. Early works included letter and word sculptures, for both interior and exterior sites from random arrays of small plastic letters strewn across fields as if remnants of a discarded language, to shimmying word fountains.